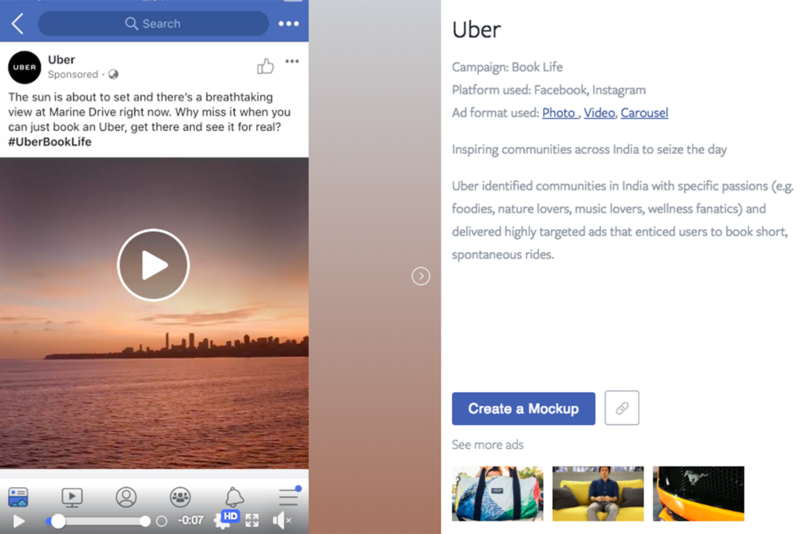 Two of Facebook's creative leaders share the work that stood out on the platform last year. When the BBC declares something is "The best anyone’s ever done, in terms of a marketing campaign for a country", we are not ones to argue. From Danny McBride as the son of Crocodile Dundee, some of the most famous faces fooled us all. 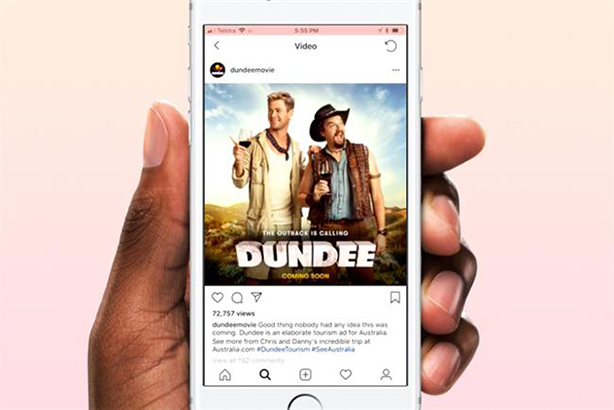 Borrowing a page or two from our entertainment vertical playbook, @DundeeMovie smashed it: @dundeemovie on Facebook and Instagram posted trailers for the "film" and Chris Hemsworth went on Facebook Live to debunk Aussie myths. All to make Australia top of mind for tourists. G’day, indeed. Heineken has sponsored the Uefa Champions League longer than we have been around – nearly 10 years longer. The brand and its agencies continually find ways to keep the sponsorship fresh and connected. 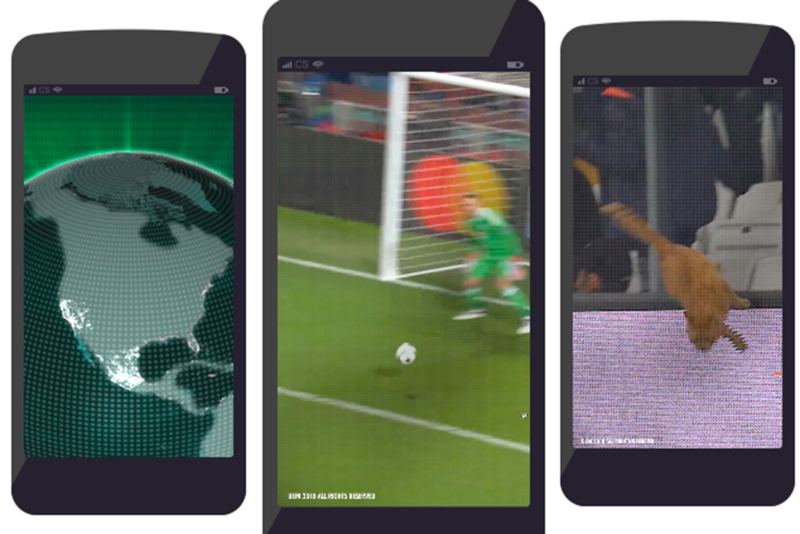 For the 2018 campaign, Heineken developed a new kind of highlight clip powered by social media monitoring to find the most shared moments from matches. The fan-led campaign resulted in short films that were turned around hours after matches ended and posted across Instagram and Facebook, including Stories, Canvas and Carousel. The ideas that bring people together are the ones changing the world. "The people’s seat" was an extraordinary example of this. 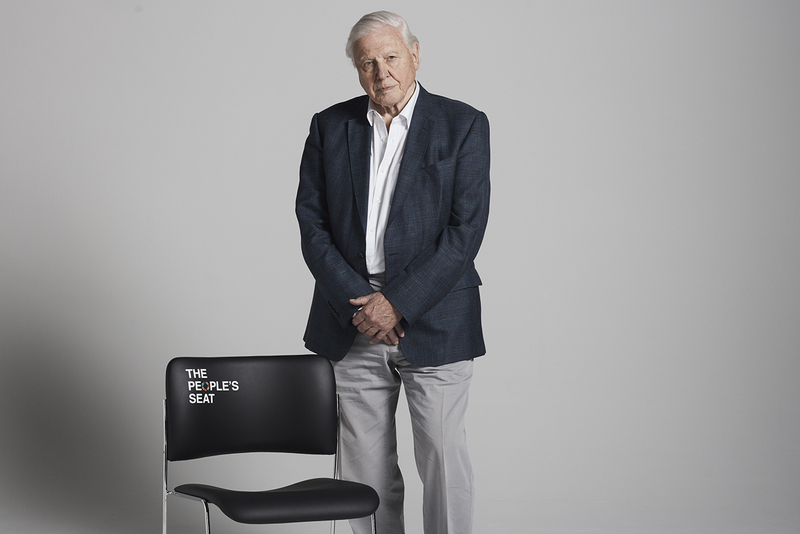 The United Nations invited people from all over the world to share their thoughts, opinions and experiences with climate change by using the hashtag #TakeYourSeat. These messages shaped the People’s Address, which was delivered at the UN COP24 climate conference by Sir David Attenborough and broadcast around the world on Facebook Live. A Messenger experience taught people how they could impact climate change and provided people with ways to express their pledge. This is an example of how "small data" can be more meaningful than "big data". The campaign was designed to increase frequency of use by inspiring people to take spontaneous rides in India. Using interest and location targeting, nature lovers were invited to see the sunset, foodies were tempted with local treats before lunch. Locally chosen, personally relevant and FOMO-inducing. It is a fantastic example of impulse meeting opportunity. There has been a bucketful of great work from KFC this past year, short- and long-form, across Facebook and Instagram. "Gravy cocktails" showed us how to make the Southern Twist in 15 seconds. The brand’s contribution to Mindfulness Day was 60 minutes of the gentle sounds of deep-frying chicken on IGTV. Rain? Chicken? Chicken wins. Chicken won again at Christmas with "Chicken vs turkey". The posts on Facebook and Instagram showed that three seconds is all you need to pack a punch. Sorry, turkey. Nike wanted to reach a younger audience not engaged with fitness. It chose Instagram to show that if you have time to scroll, tap or swipe, then you have time to work out. It was a brilliant insight expertly executed, with 30 days of live workouts on Instagram Live featuring Nike athletes in London, Paris, Berlin and New York. It was incredible. 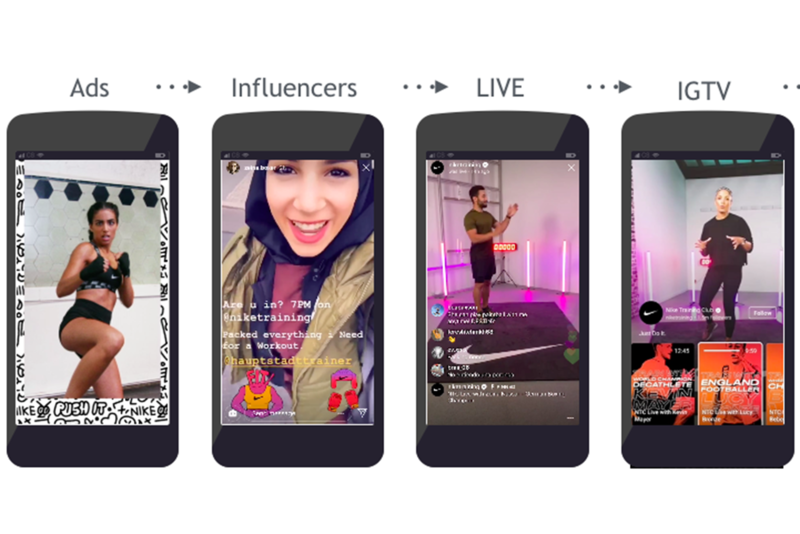 Story ads drove users to the channel, workouts were posted on Instagram Live at the same time every day, organic posts and polls connected the audience with the athletes between the workouts and the most popular workouts were repackaged and pushed to IGTV for the on-demand audience. It was like nothing we have ever seen on Instagram Live. 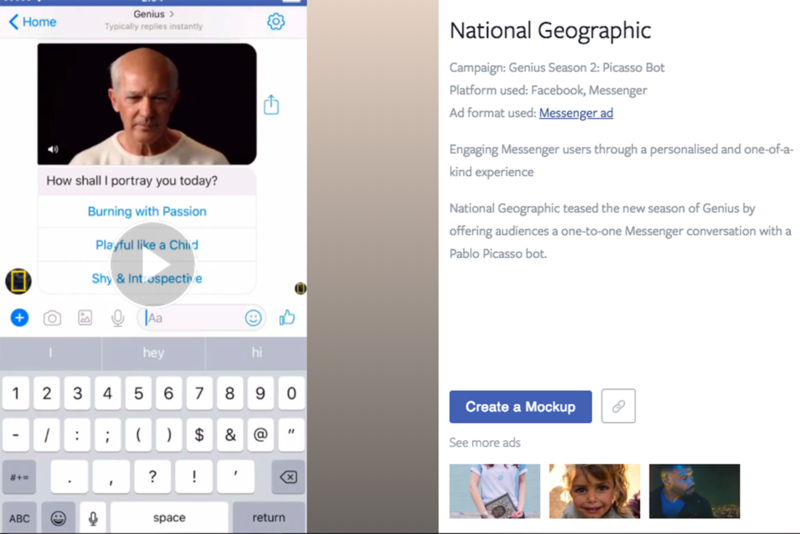 "Be painted by the genius" was a simple user experience in Messenger, but one that was backed by intense machine learning. People answered a few questions about their favourite Picasso styles and their mood, then uploaded a photo. Artificial intelligence then returned your portrait as "painted" by the man himself. The AI was continually optimised at remarkable speed, making it a truly one-of-a-kind experience. "How shall I portray you today?" was really "How shall I portray you this minute?". Every picture taken and every question answered resulted in a different portrait. Most importantly, it introduced Genius to a broader audience and drove incredible awareness for season two.